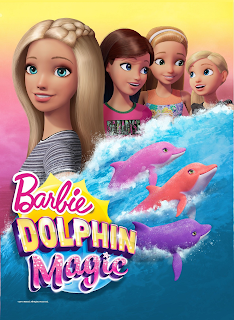 In visit to their friend Ken, Barbie and her sisters visit a wonderful coral reef where they come together with a mysterious character... Ken works on a coral reef and his job is to investigate the dolphins, while performing a daily exploration of the reef. In one of these tours, he, Barbie and Barbie’s sisters, discover very strange dolphins, rainbow colors, they only visit the place once a year. This wonderful discovery encourages you to continue researching and learning about corals and their preservation, as well as the marine life it hosts. Barbie is needed and magically gets pulled into her favorite video game to save the situation. She is transformed into a fun video game character. 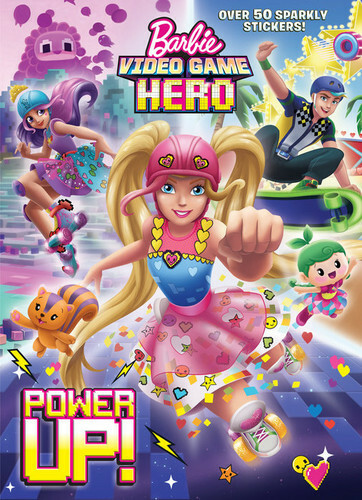 In this game, she meets new friend Cutie, the lovable cloud-shaped character, and Bella, the roller-skating princess. Here, they discover a mischievous emoji character is trying to take control of the game. 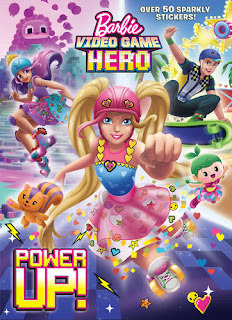 Barbie must advance effectively in each level to achieve to defeat emoji and bring peace to the game and that only get it by demonstrating it with their skills, everything she is able to achieve by saving her team and of course to her new friends. 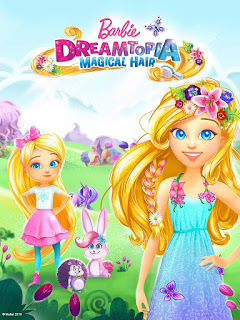 Dreamtopia is the realm of Barbie's dream, a magical universe imagined by her little sister, Chelsea. It is a place were you can swim in rainbow rivers among the beautiful mermaids and fly through clouds of candy cotton with the fairies. Arriving at Dreamtopia, things change completely for Chelsea, who looks at everything she always imagined: the sisters decide to take a tour through these incredible lands and realize they have never seen anything like it. Rivers of colors call them to play with new friends who are discovering along this journey and realize that yes, dreams can come true. Places that can only come to life, using your imagination. 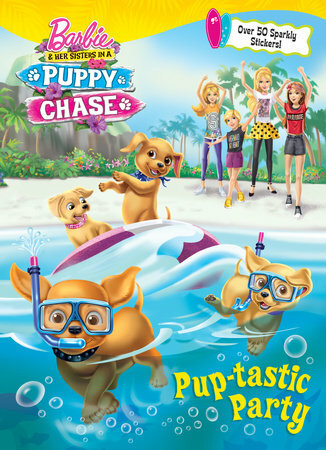 Barbie with her friends and their pets arrive to a beautiful island where they decide to see the Dancing Horse Festival. But when their furry friends disappear they go to search them. While all this happens, the puppies are having their own adventure and do not know how much they make their owners suffer. At that time, the girls should start their imagination and work together as always in order to locate their furry friends in this adventure of cold noses and teaching a great friendship. 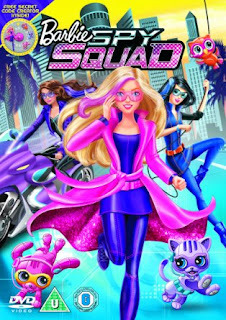 Barbie, together with her friends, Teresa and Renee are transformed in undercover spies in this new adventure full of action! When a top secret spy agency notes the girls sporting talents, they are recruited to follow the trail of a jewel thief who has escaped many times. With their high-tech gadgets helped by their sophisticated disguises and using pets robots, girls will put their minds in contribution and make the mission not... impossible! Barbie is a cosmic princess who flies with her space ship in a distant universe, having alongside her devout and adorable puppy, Pupcorn. One day, everything changes, when the glory of the stars begin to fade, and their dance through the universe to slow down. 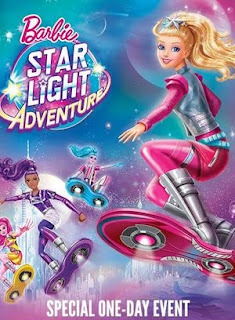 Barbie goes, therefore, to an wonderful new planet, to join a special rescue team with extraordinary mission: to save the stars. This Barbie Movie is made in 1987. 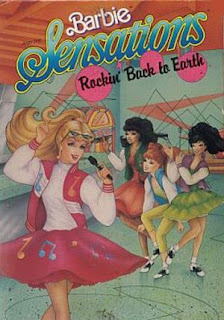 After the first concert for peace in space, Barbie and her band (The Rockers) are coming back home. During the trip back to Earth, on the space shuttle, they start to play a song (Rockin Back), few seconds later a "time warp" tunnel is forming in front of the shuttle. Then they see there are a lot of clocks going backward inside the tunnel, at the end of that, the shuttle lands on a strange airport.